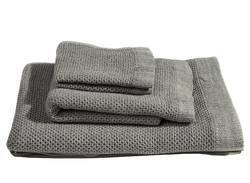 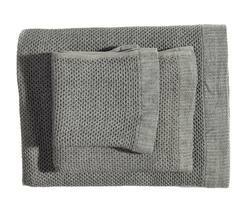 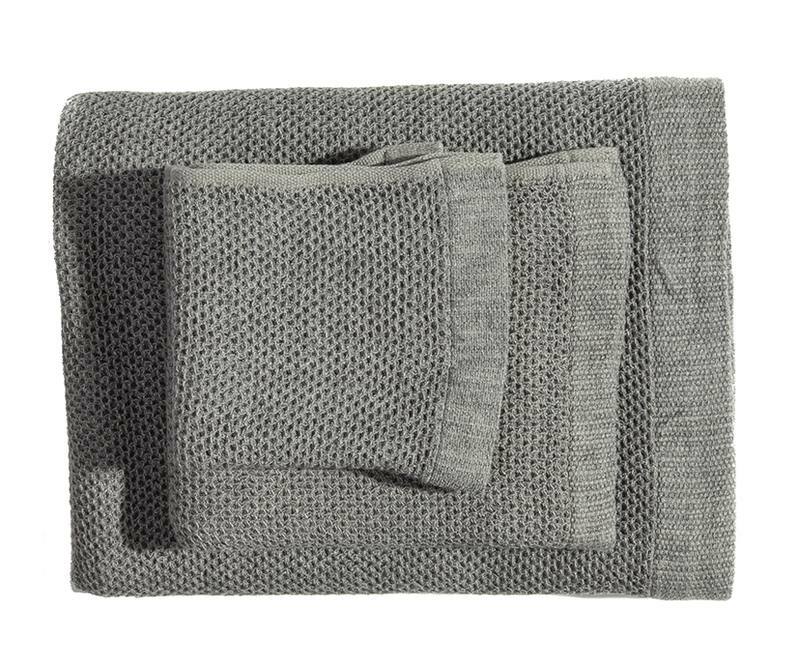 A luxurious waffle face cloth featuring a blanket-like weave. 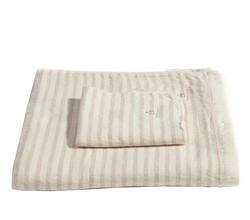 The cloth is made of a cotton and linen blend that is thick yet light, soft, and highly absorbent. 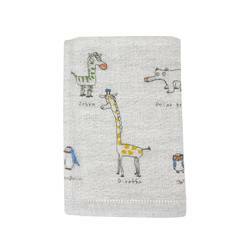 The face cloths are handmade in Imabari, Japan. They are woven at gentle speeds on an old fashioned weaving machine. 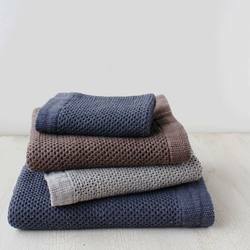 This slow weaving process brings out the natural softness of the yarn, making the towels soft, yet durable enough for everyday use.